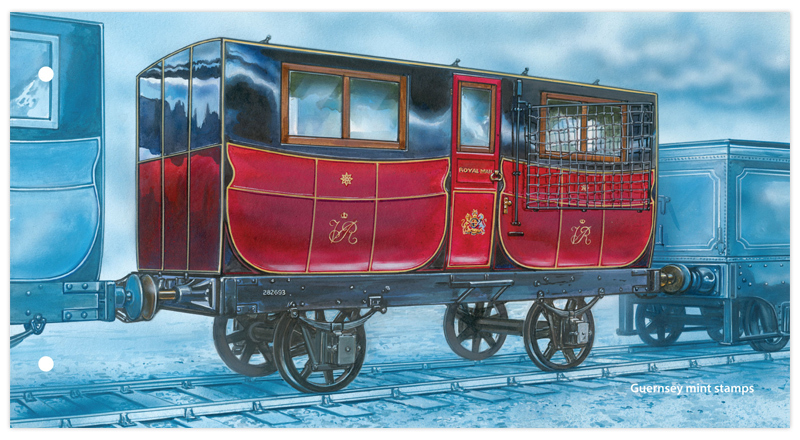 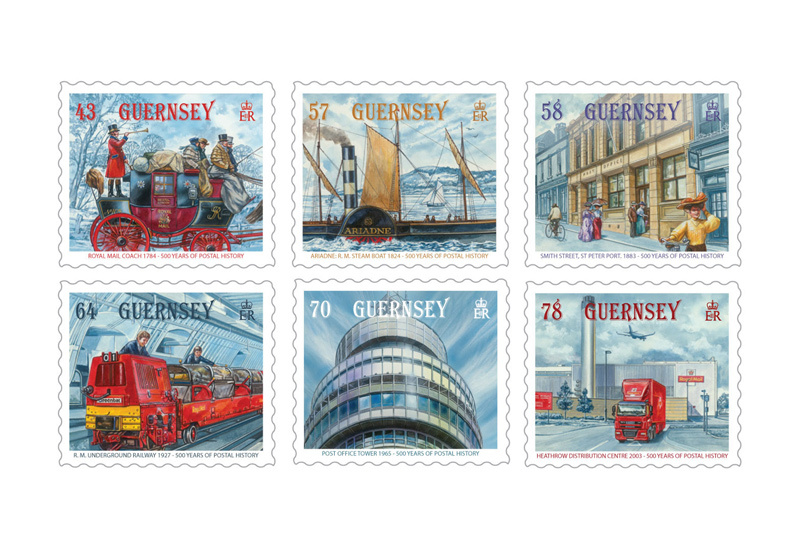 The history of the postal service in the UK reflects the enormous societal and political change that has taken us from sixteenth century Tudor England to the United Kingdom today. 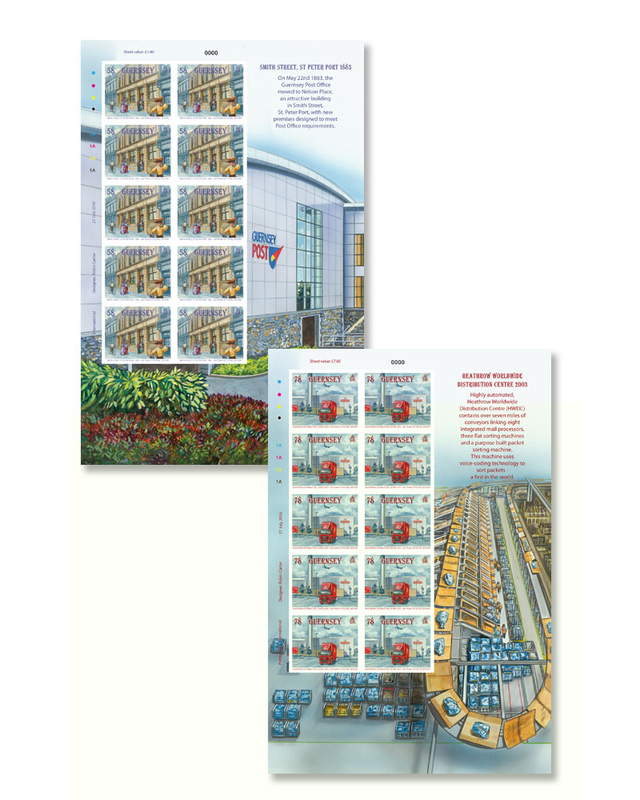 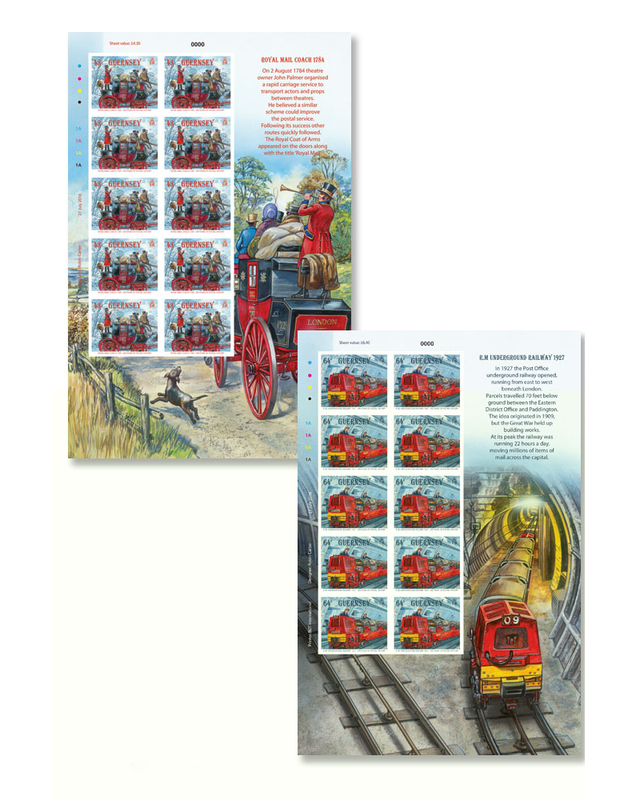 For this special commemorative issue, our stamps depict some of the key developments in our postal service during the past 500 years. 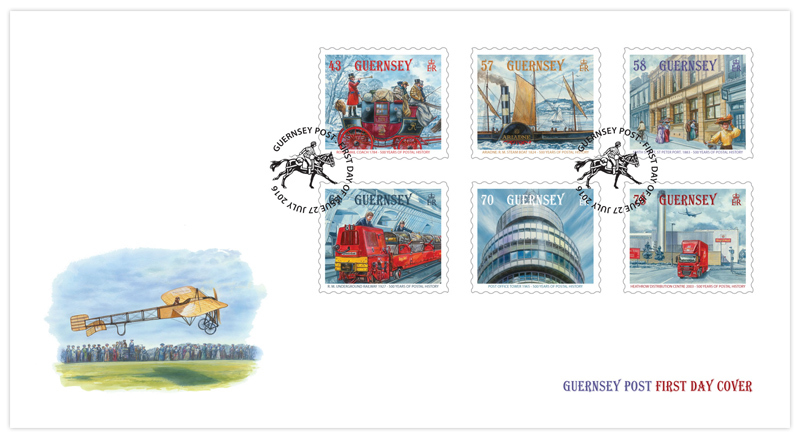 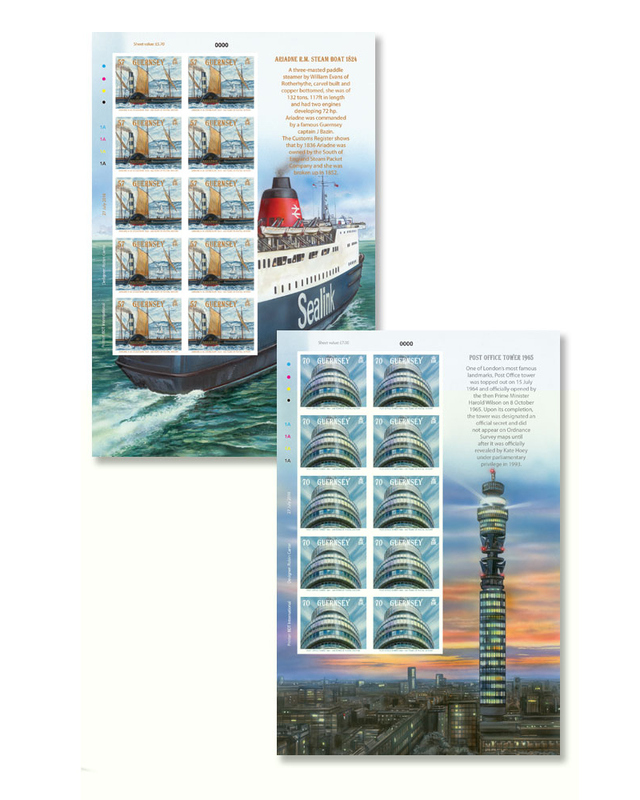 We are particularly thrilled to include stamps which specifically reflect Guernsey's significance in postal history, including a depiction of one of the oldest pillar boxes in the British Isles, which is still in use in Guernsey today. 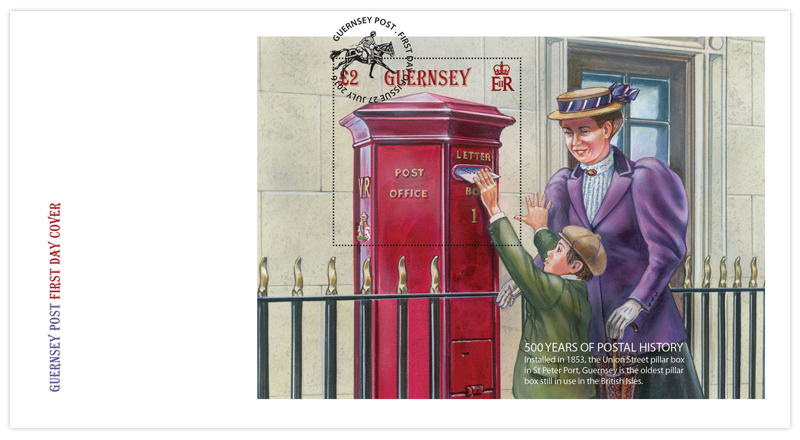 Although letters from Guernsey have been recorded since the fifteenth century, a post office was not established in the Bailiwick until 1794 and then only as a war measure. 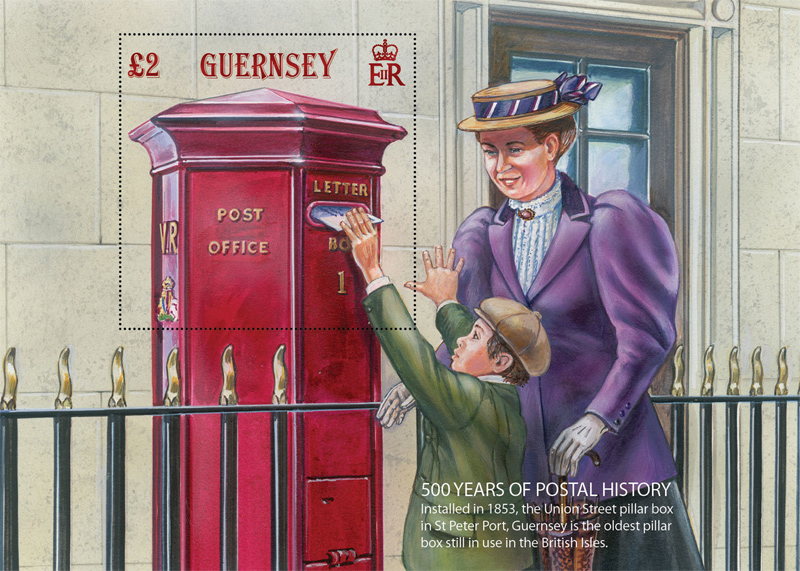 A regular postal link between Great Britain and the islands was inaugurated on 13 February, the same year that Mrs Anne Watson was appointed the first postmistress of Guernsey.